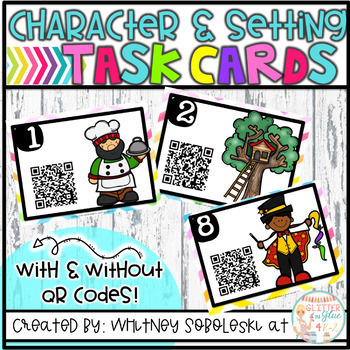 Use your iPads in a fun and engaging way to reinforce the difference between character and setting! 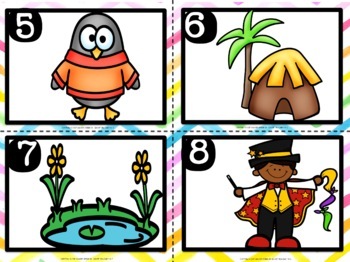 This product includes 12 task cards with pictures of either a character or setting. Students will determine if the picture is a character or a setting. They will record the answer on their recording sheet and check using a QR Reader! Check out the preview to see everything!! Print, laminate, and cut out the cards individually. Students will need a recording sheet and an iPad with a QRReader. 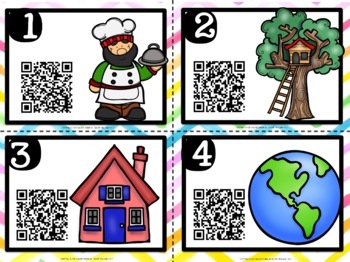 Be sure to download the free QRReader from the App Store to your classroom iPad(s)! Students will look at each picture and decide if it is a character or setting. 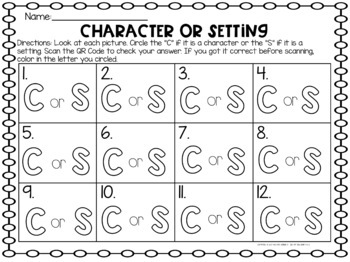 They can circle “C” for character or “S” for setting on their recoding sheet. After they do so, they can scan the QR Code to check their answer. If they were correct before scanning, they can color in the letter they circled. If not, they can fix their answer but should not color in the letter. Copyright © 2017 Whitney Begue. All rights reserved by author. Permission to copy for single classroom use only. Electronic distribution limited to single classroom use only. Not for public display.